Eager loading is the process whereby a query for one type of entity also loads related entities as part of the query, so that we don't need to execute a separate query for related entities. Eager loading is achieved using the Include() method. In the following example, it gets all the students from the database along with its standards using the Include() method. EF Core supports additional method IncludeThen for eager loading. Learn about it here. 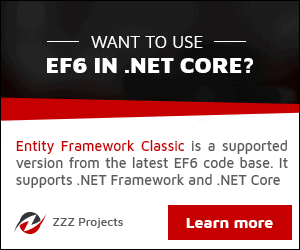 Learn how Entity Framework 6.x supports lazy loading in the next chapter.